More than 101,000 Americans are on a waiting list for a kidney. Thousands more are too sick to endure the long wait and are never added to the list. Patients waiting for a heart find a donor in less than a year on average, and the wait for a lung is less than two years, but thousands of people die every year waiting for the only organ of which humans have an extra. Those waiting for a kidney are disproportionately those most vulnerable in American society. Blacks are represented on the kidney waiting list at a rate 2.5 times their percent of the population. 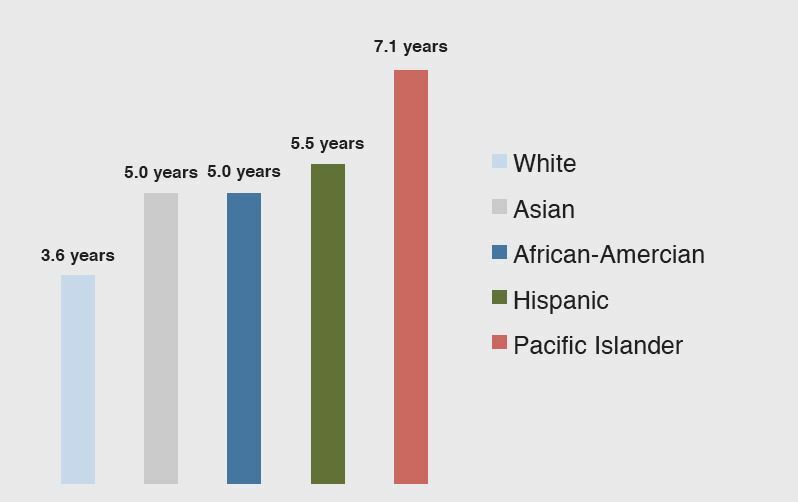 Asians are represented at a rate 1.4 times their percent of the population. Hispanics are represented at 1.14 times their percent of the population. While dialysis can extend the life of a kidney patient for years, the treatment is not one that allows for a quality of life. Nor does it extend life indefinitely. People ages 45 to 49 live, on average, eight additional years if they remain on dialysis, but they live an additional 23 years if they get a transplant. Globally, more than 2.8 million people are undergoing dialysis, creating a tremendous demand for kidneys. While very few black market transplant cases have been prosecuted in the United States, the World Health Organization estimates that between 5% and 10% of kidney transplants worldwide are the result of black market transactions. Beyond the lost productivity of people waiting for a kidney, long waitlists for kidneys are costly to society in other ways. For every year a kidney patient is kept alive through dialysis, it costs Medicare about $80,000. With the 4.5 year wait for a transplant, the $360,000 expenditure for dialysis is a much larger expenditure than the $150,000 transplant. 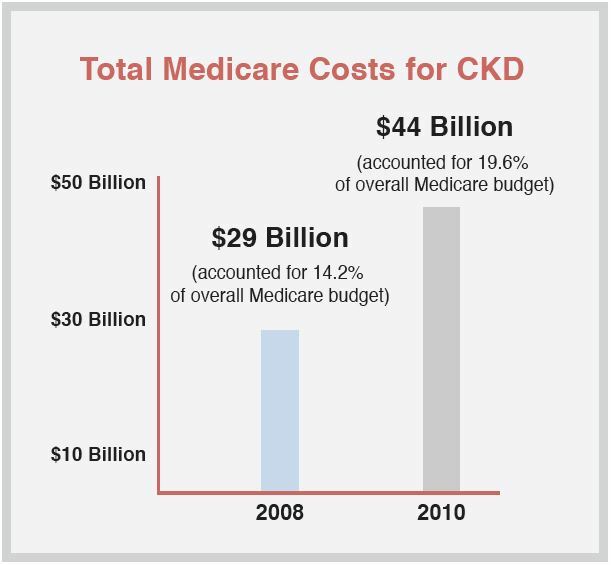 Patients with chronic kidney disease (CKD) and end stage renal disease (ESRD) comprise less than ten percent of the Medicare population, but account for as much as 28% of Medicare expenditures. Since the passage of NOTA in 1984, the size of the waiting list for a transplant in the United States has increased by more than 810%. The number of donors has simply not kept pace with the number of people whose lives would be saved with a transplant. In the decades since the passage of NOTA, the medical and scientific community has fiercely debated potential solutions to the crisis. Meanwhile, more Americans have died waiting for a kidney than have died in the wars in Iraq, Afghanistan and Vietnam combined. With one in ten people suffering from chronic kidney disease, and the number of patients needing a transplant continuing to grow rapidly, the discussion must be moved beyond medical insiders and toward a solution. The Foundation for Kidney Transplant Research seeks to educate Americans on the crisis and shape the debate towards a solution to immediately increase the number of organs from living donors available for transplant. The Foundation for Kidney Transplant Research was founded by Jim Plante, a biotechnology entreprenuer and investor (Thynk Capital, Pathway Genomics, Klotho Therapeutics) after learning he and his siblings carried the genetic mutation for polycystic kidney disease (PKD). 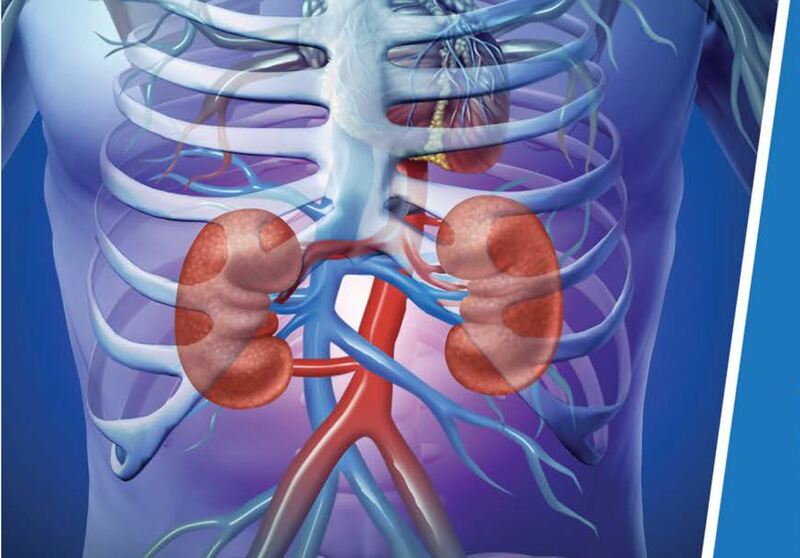 PKD patients normally require a kidney transplant at some point in their lives.. Typically, PKD carriers require a kidney transplant at some point in their lives. The best outcomes are usually achieved when the donor is a family member. With the knowledge that he and his family would need a kidney from a non-related donor, Plante began to immerse himself in learning about the transplant process. It quickly became apparent to Plante that the transplant process is broken – thousands of kidney patients die every year waiting for an organ, the black market in kidneys is active across the globe and the cost of patients waiting on dialysis is one of the biggest in Medicare. Plante also learned about the disincentives to donating that living donors face. Organ transplantation in America is governed by the National Organ Transplant Act (NOTA) of 1984, a law passed at a time when kidney disease was less prevalent and far fewer Americans needed a kidney transplant. NOTA prohibits “valuable consideration” for organs. Under NOTA, kidney donors find themselves paying for travel associated with their donation, weeks of lost wages during recovery time, follow up medical visits and the like. Plante established the Foundation for Kidney Transplant Research to explore policy options to find a solution to immediately increase the number of kidneys available for transplant, educate the public on the problem and to quantify public support for various policy approaches.